Hockey is finally back, and the most enticing match-up on the opening night of the season was San Jose at Los Angeles. But instead of letting the Kings celebrate on the night of their Stanley Cup banner ceremony, Sharks forward Tommy Wingels is out here making them look like fools. 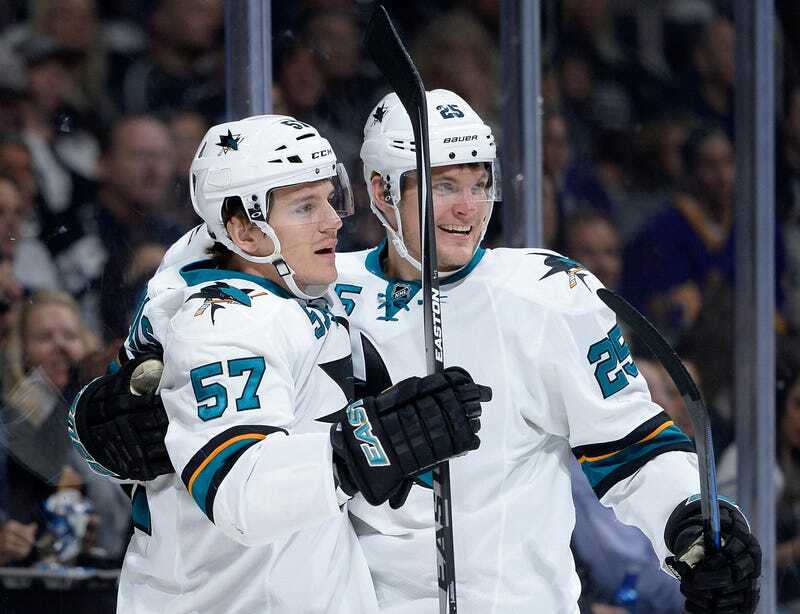 It was Wingels's second goal of the night, and the Sharks scored again just 14 seconds later on Jonathan Quick's botched clearance, to take a 4–0 lead. If the Sharks truly are a team in turmoil, switching captains in an attempt to shake things up and prevent their annual choke job, they sure don't look it on the ice.